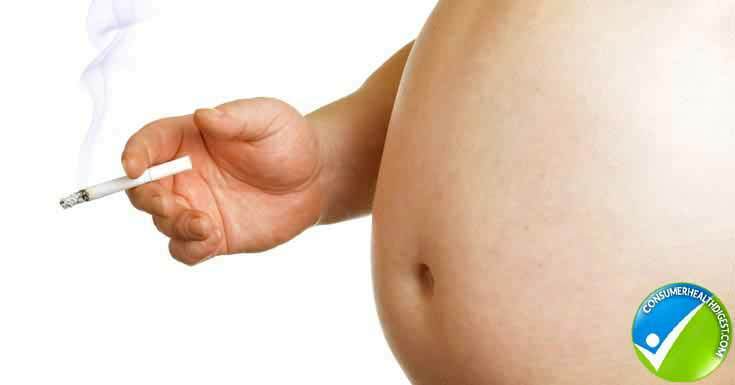 Weight Gain: What Are The Causes, Symptoms & Treatment of Weight Gain? Causes of weight gain are many ranging from natural to artificial. In cases where one’s body experiences hormone imbalance, chances of weight gains are heightened. But it is also good to understand that you can gain weight inadvertently. This is mainly associated with too much calorie intake. There are also various types of drugs which if used anyhow, can lead to overweight. Besides, weight gain that occurs inadvertently could be as a result of certain health complications. In this case, sudden and brisk weight gain may be due to high levels of body fluid retention. Media, on the other hand, plays a major role in promoting these unhealthy practices as it portrays a lean body as idyllic making most teens strive to achieve that kind of physique. As much as excessive exercise and underfeeding can be helpful, it can also bear negative effects on your health. There are times when one experiences weight gain without actually noticing it and it becomes a health concern when it emerges that the cause of this weight gain is due to indigestion. At this point, it becomes necessary to alter your eating habits and start doing some exercise that might reverse the situation. Feeding on fresh, whole diet is very important if you want to maintain a healthy body weight and also improve on the digestion process. Ideal foods that can help to maintain a healthy body weight are those which contain high levels of both insoluble and soluble fibre. They include fresh fruits and vegetables such as jicama, oranges, kale, berries, carrots, watercress, grapefruits, celery, and apples. Although fibre and water increase the bulk of your foods, they lower their calorie content levels. Fibre and moisture combine to control your bowls and at the same time ease constipation in your digestive system. In case this doesn’t improve your condition and indigestion problem persists, seek medical advice. The doctor may suggest a tailored diet plan to reverse the condition. The endocrine system plays a vital role in the control of the entire mechanism in the body. This is rather a complex and fine-tuned system that coordinates all the activities in the body and the reactions to both external and internal environmental changes. It influences weight, growth, height, metabolism, growth of hair and bones, pregnancy and production of milk in the breast, menstrual periods, sexual activities, behavior and personality. Chemical and hormones produced by the endocrine glands and then released into the bloodstream helps to control the actions of various body organs, tissues, and their functioning. The endocrine glands work closely with specific organs to efficiently regulate the flow and ebb of hormones in order for the activities (glandular) in the body to remain constant. However, there are cases when the endocrine tends to release less or high levels of hormones; this, in turn, results to hormone imbalances in the body’s. When there occurs any disorder in the urinary system, kidney diseases such as Peripheral edema and kidney failure, which is associated with weight gain, can occur. Renal or kidney failure is a term used to refer to either permanent or temporary damaging of the kidneys resulting to its dysfunction. There are 2 types of kidney failures: chronic (this exhibits a slow progression over a long time and may result to the permanent failure of the kidney) and acute, which occurs abruptly but is reversible. Although it is not well established as to what triggers weight gain after dosing on some drugs, it is good to note that some of these drugs increase your appetite, make the body to retain fluids or with time, can lead to a gradual weight gain attributable to reduced body activity and fatigue. Most drugs that increase appetite affect the satiety center of the brain. However, it is sometimes hard to differentiate between weight gains resulting from lack of exercise or diet and drugs as the process takes time before you realize the changes. To stop taking any medication should, therefore, be suggested by a doctor since there are some that may need to be tapered slowly and any attempt to quit abruptly can result in adverse side-effects. When you sleep for fewer hours, chances of registering the reduced leptin levels increase. Leptin is an important protein that controls and regulates appetite. Reduced leptin levels increase appetite hence weight gain. It is also possible for your appetite to increase because of the reaction of the mind to both hunger and sleepiness. Hunger and sleepiness cause similar psychological feelings. People tend to think that their low energy levels are triggered by hunger when in the actual sense it is sleepiness. It is obvious that as we advance in age, our physical capabilities decrease resulting in low body metabolic rates hence weight gain. The changes that occur psychologically as age advances influence the body’s general composition and the functioning of the heart and lungs (cardiopulmonary). This reduces one’s ability to perform tasks and exercises that could help to weight loss. Stress can trigger weight gain in various ways and one of the reasons is associated with a stress hormone, the cortisol. When stressed, there occurs a flight response in the body which in turn leads to the release of a variety of hormones. To counter this reaction, the body experiences depletion in energy, changes in the metabolic process, blood flow among other changes which trigger weight gain. Menopause is an aspect of life that cannot be avoided. Women between 40s and 50s exhibit low levels of estrogen resulting in ovulation stoppage. During this period, a woman exhibits various symptoms which make life quite unbearable. One of the common menopause symptoms is weight gain which occurs around the waistline and also in the abdominal region – the most unfavorable areas to gain weight for most women. Weight gain in menopause has negative effects on both the health and self-esteem of a woman. Various studies associate obesity with prolonged hours of viewing the TV. Women are more susceptible to weight gain if they watch the TV for a prolonged period of time as compared to men. This is attributed to the fact that people will tend to go for the foods (not the best) being advertised rather than the healthy natural foods. Eating large quantities of foods can result in weight gain especially so if the meals contain increased levels of calories. It is therefore important to reduce your ration in order to stay healthy. Alcohol has been known to provide the body with energy and if ingested excessively it results in weight gain. Smoking too can result in a number of diseases associated with obesity. To stay healthy and maintain a healthy body weight, it is important to shun these habits and exercise regularly. There are various practices that can help you to shed some of your extra body fat. Feeding on a healthy diet and engaging in appropriate physical exercises are basically the best ways to achieve these goals. Eating less is a very important aspect in promoting weight loss. Besides, there are various diet supplements that can effectively help you lose weight. 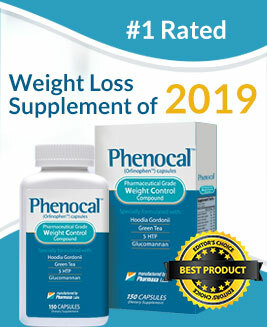 Lipozene and Phenocal are some of the best diet supplements that help the body to burn fats very fast. In fact, diet supplements offer the surest way you can use to achieve better results faster at home. Since junk foods play a critical role in weight gain, it is necessary to avoid them at all costs. Another important way to combat overweight is simply by engaging in physical activities. Drawing a workout schedule that allows you time to train vigorously is very important. You can also set aside a few days in a week just to do some moderate exercises and this will help you shed considerable weight within the certain duration.